MAYS LANDING – Two former Voorhees, NJ, residents who were captured in Cuba after fleeing the country pleaded guilty this week to charges related to the September 29, 2010 kidnapping and murder in Hammonton of a Somerdale, NJ, man, Acting Atlantic County Prosecutor James P. McClain announced today. On Wednesday, July 10, 2013, Diane Camacho, 28, a Voorhees, NJ resident at the time of the 2010 killing, pleaded guilty to conspiracy to commit murder and agreed to testify against co-conspirator Denis A. Catania, 51, also a Voorhees resident at the time of the murder. The next day Catania pleaded guilty to aggravated manslaughter. A third conspirator, Damien M. Leo, 38, had pleaded guilty in May 2012 to manslaughter, agreeing to testify against Camacho and Catania. The victim, Ross Heimlich, age 23, of Somerdale, Camden County, had been missing from Voorhees for a day when Hammonton police and fire personnel responded on September 29, 2010 at 3:18 a.m. to a 9-1-1 report of a car-fire on the 100 block of Linda Avenue in Hammonton. The vehicle was fully engulfed in flames. Charred human remains discovered inside the car after the fire was extinguished required a forensic investigation by medical experts of several weeks to be positively identified as those of Ross Heimlich. 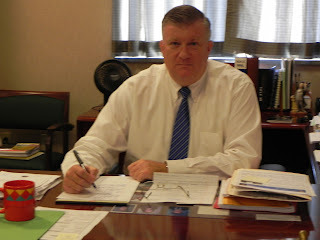 A year-long collaborative investigation by the Atlantic County Prosecutor’s Office Major Crimes Unit, the Philadelphia Police Department, the Hammonton Police Department, the Voorhees Police Department, the Camden County Prosecutor’s Office, the Florida Department of Law Enforcement, the U.S. State Department, and the U.S. Marshal’s Fugitive Task Force led to the criminal charges and subsequent arrests of the three for the kidnapping of Ross Heimlich from Voorhees, NJ, and his murder in Atlantic County. Damien Leo was arrested August 11, 2011 in Philadelphia and extradited to Atlantic County. Denis Catania and Diane Camacho fled to Florida, then various Caribbean nations, including the Bahamas and Cuba. The two fugitives from Atlantic County were located in Cuba, deported by that government—their entry to that country made with falsified documents—and taken into custody by U.S. Marshal’s deputies and detectives of the Atlantic County Prosecutor’s Office on September 28, 2011. Chief Assistant Prosecutor John Maher represented the state in the case. The three defendants are scheduled for sentencing on August 22, 2013, before Atlantic County Superior Court Judge Bernard E. DeLury.